Sometimes I get the distinct feeling work-me is more popular than regular-me. 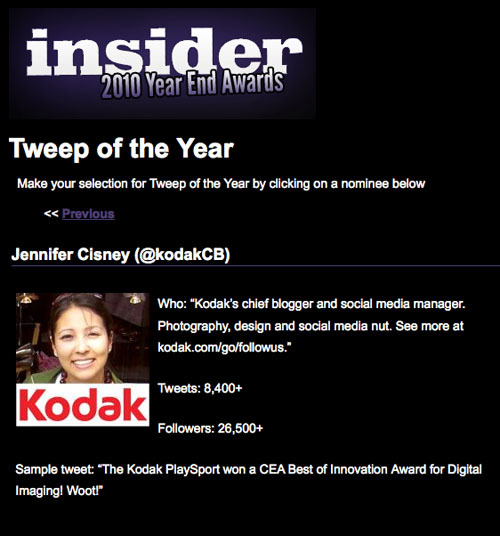 Work-me is nominated for Rochester Insider's Tweep of the Year. Regular-me isn't. Here is the link if you would like to vote for work-me. It's kind of a pain because it's all through Facebook, but there you have it.